You know the one I’m talking about — the one you just can’t seem to fill. The one you lose sleep over. Yeah, that one. Recent studies show there are only approximately 6,000 certified NNPs available to work in a job force with far more available positions. More and more hospitals are adapting the NNP-Neo Staffing model. According to one study, approximately 5% of all NNPs plan to retire by 2020. The retirement of NNPs will only intensify the need to recruit nurses into the NNP role. Schools of nursing offering NNP programs continue to close due to declining enrollment. The emergence of more online programs has helped to offset the decline, but at best the number of programs has remained constant. Statistics state we average approximately 40 schools with NNP programs with an average annual graduation of 271 new NNPs over the past 10 years. Sometimes NNPs are their own worst enemies. While on the unit, they oftentimes complain about the physicians, caseloads, the stress, extended hours, etc.. This makes the NNP role look far from appealing to the NICU staff nurses who are on the fence, considering going back to school. 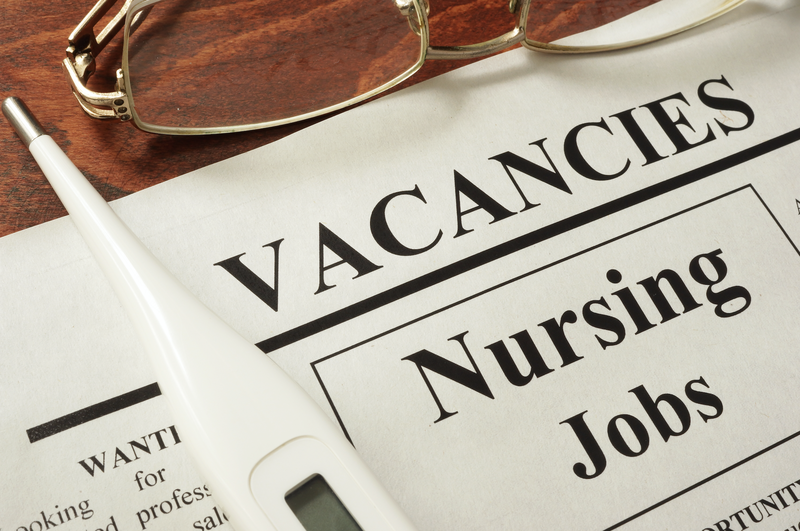 One of the biggest deterrents to staff nurses going back to school to get their NNP (and thereby increasing the candidate pool) is compensation. Oftentimes the compensation new grads are getting is not much more than what they are earning as RNs. We have even seen new grads take a pay cut when transitioning to their new role. When you couple that with large tuition debt and the added stress and responsibility which comes with the NNP role, it’s no wonder we are not seeing more staff nurses going back to school. And, it’s not just an issue for new grads. Many experienced NNPs are receiving very low pay increases at their review times and it is not uncommon for them to see no pay increase whatsoever. We also have many experienced NNPs who are at the top of their pay grade hitting that glass ceiling, resulting in either no pay increases or simply a cost-of-living allowance increase. The time & resource strain it puts on the unit to effectively train a new grad NNP and get them to the point of functioning independently and autonomously…with no guarantee they will stay on with you after they graduate. This one is actually a double-edged sword. On one side, many other types of nurse practitioners (peds, family, etc.) are able to work Monday to Friday shifts with no nights, weekends or call. This point alone has driven NNPs away from the NICU to go back to school to seek an additional nurse practitioner certification. Conversely, there are still a good number of NNPs who prefer the flexible schedule the role oftentimes provides, especially if they are in a setting that offers 24-hour shifts. These are many of the obstacles we see in making NNPs so difficult to source and subsequently hire. With an awareness of these factors, what can you do to beat the odds and effectively, efficiently fill your NNP openings? There is no magic bullet out there to fix or remedy many of these factors…at least quickly for immediately. However, the previously cited set of criteria does provide us with a good overview of the problems we are facing. With knowledge comes awareness, and once we have awareness we can take appropriate actions to tackle the issues we face, inching us closer towards change. In order to attain better role identification we must make the NNP role more rewarding, fulfilling and enjoyable to the NNP community. As leaders in the neonatal workforce, we are the best group suited to do so. NNPs are overworked and stressed out. They desperately need their department’s leadership to advocate more strongly (and more often) on their behalf. Please help them to better realize their potential and to honor the services they provide. There is a specific mindset of candidates who reply to ads, online postings, etc.. Those candidates have, by themselves, initiated the recruitment process for your institution. In other words, they are “coming” to you. Conversely, should you be working with an outside search firm, the candidates they source are typically not looking to make a job change. These candidates were satisfied with their employment – until they were contacted by the external recruiter who performed a career analysis with. That process assisted them in realizing something was lacking in their current employment situation, which your opportunity could potentially resolve. These candidates were “brought” to you. The first group is called “Active Candidates,” while the second are “Passive Candidates”. Because the motivations of these two groups are different, they need to be handled differently during the recruitment/interview process. You can ask an active candidate to jump through hoops, then put them on hold, stay out of communication with them, and for the most part they will tolerate that treatment because their desire for your job, facility, location, etc., exceeds the way they have been treated. However, with passive candidates, that sort of treatment just won’t fly. If you treat them anywhere near that way they will more than likely withdraw their candidacy because they were not looking in the first place so have nothing to lose. They just won’t accept that treatment. Sadly, though, many employers DO NOT realize the difference, so recruit and interview all candidates the same way. And the sad part about this is that more often than not, the better candidates are the active ones. So, don’t lose out on these candidates just because your competition realizes the difference and treats them with the respect they desire. Although not all facilities can be magnet facilities, be ranked in the TOP 50 NICU’s or otherwise be an industry leader….but they all have the equal opportunity to treat their staff appropriately. The NNP workforce is a small community….and they talk! If you treat your staff poorly you may be able to get away with it (for a while) with the staff you have but when you start to recruit externally there is a very good chance your reputation will follow you… and haunt you. You don’t have to concede to their every request, just treat them fairly and do the right thing. In short, you attract a lot more bees with honey than you do with vinegar. I can’t tell you how many times I look at job postings run by employers and the posting is all one-sided. It is filled with “we want”, “we require”, “you will do”, etc. There is rarely anything in the ad compelling the potential applicants to apply. Or worse, the posting is a “generic” posting and reads as such. So, stop running boilerplate ads and take the time to put yourselves in the shoes of your candidate pool. Consider the WIIFM (What’s In It For Me) philosophy and publish job postings which will be tailored to attract them and I promise you’ll see an increase in candidates applying; not only in quantity but in quality.